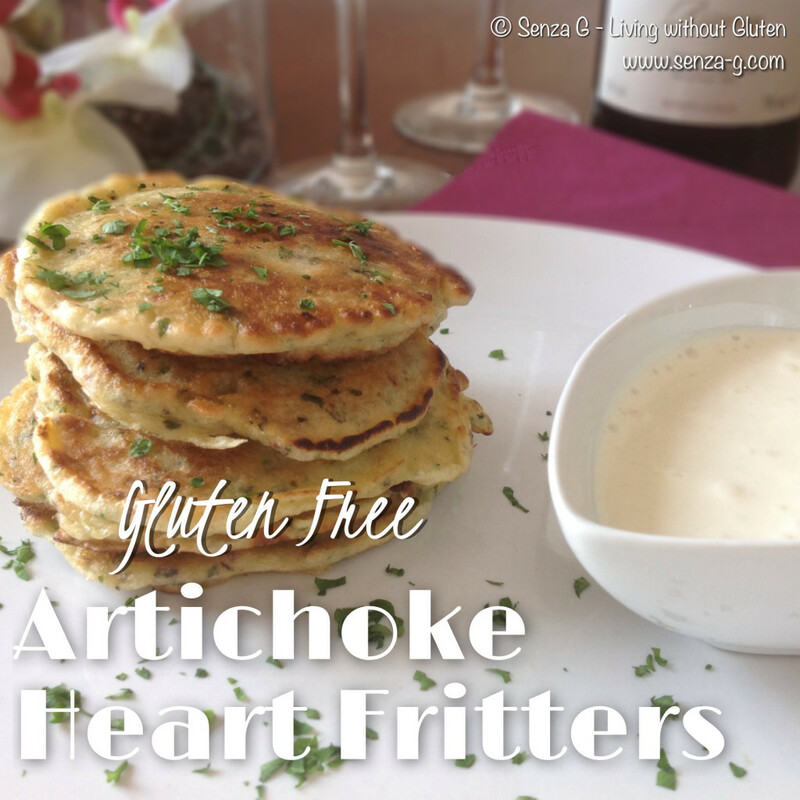 Another artichoke recipe … mmm… this makes a lovely appetizer or snack! I have used a mix of Gluten Free All Purpose flour and some Chickpea Flour as it gives them that distinct taste! Drain the artichoke hearts and place them on top of a few layers of kitchen roll. Do this a few at a time. Top with a few more kitchen roll and using your fingers press down on the halved/quartered artichoke hearts so you will flatten them. Set aside. Prepare the batter by mixing all the ingredients in a large bowl. The batter should be slightly thick. Put some oil in a frying pan and heat. Take an artichoke half/quarter and swirl it in the batter. Place in the pan and let the extra batter cover the whole half/quarter, swirling it round so it forms a circle. Once golden brown, flip it so you brown the other side. Then place on paper towel lined plate till you finish all the artichoke hearts. Obviously you will be needing to add more oil as you go along. Serve immediately with the dressing.